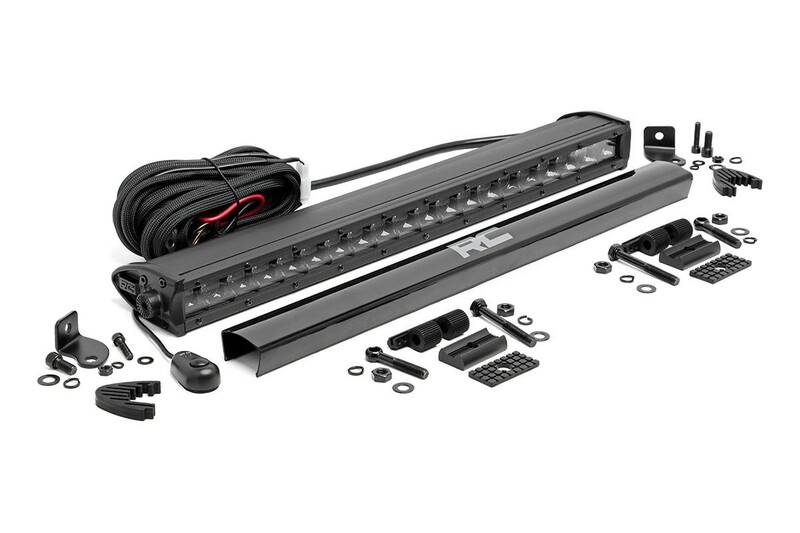 Rough Country's new 20-inch End Mount Single Row LED Light Bars offer quick and easy off-road lighting for your truck or Jeep. Each light Includes a set of fixed-position end mounts and adjustable track base mounts, providing you with multiple options to mount your light wherever you need to with full adjustability. Rough Country's single-row black-series LED light bars feature Cree LED's outputting a staggering 7200 Lumens and 90 watts of lighting power.